The Alamo Head Injury Association provides funding to survivors of brain injury. Funding for needs such as medical, rehabilitation, housing, accessibility, educational, social and recreational will be considered. This grant application is for the limited use by individuals who have survived brain injury and is intended to be used to make a specific request for goods, services, or funding from AHIA. Please contact us should you have any questions regarding your eligibility. 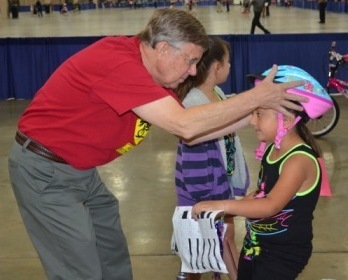 Each year, AHIA helps to educate and support youngsters by providing bicycle helmets at San Antonio's city-wide Bike Rodeo.